The RV Resort at Nashville Shores is a family-friendly campers' paradise packed with first-class amenities, fun activities for all ages and spectacular scenic views. Call (615) 889-7050 x234 to reserve today. The Lakeside Cabins and RV Resort will be open February 1, 2019 through December 1, 2019. Click the links below to learn more. There are 84 RV sites, including beautiful waterfront accommodations available on 14,000-acre Percy Priest Lake, incredible fishing, 24 lakeside cabins, 4 hilltop cabins, jet-ski rentals, pontoon boat rentals, and much more. RV sites range from $55 to $70 a night, and cabins range from $130 - $215 a night depending on the time of the year (taxes not included). See Resort Rates for more info. Please call (615) 889-7050 x234 to make reservations. The RV sites will be open February 1, 2019 through December 1, 2019. Click the links below to learn more. 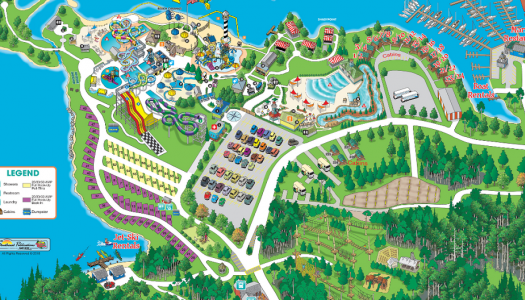 When you stay in a cabin or RV site at Nashville Shores, you also get exclusive waterpark and Treetop Adventure Park discounts. Season Pass - Water park admission for the entire season for just $49.99 plus tax. 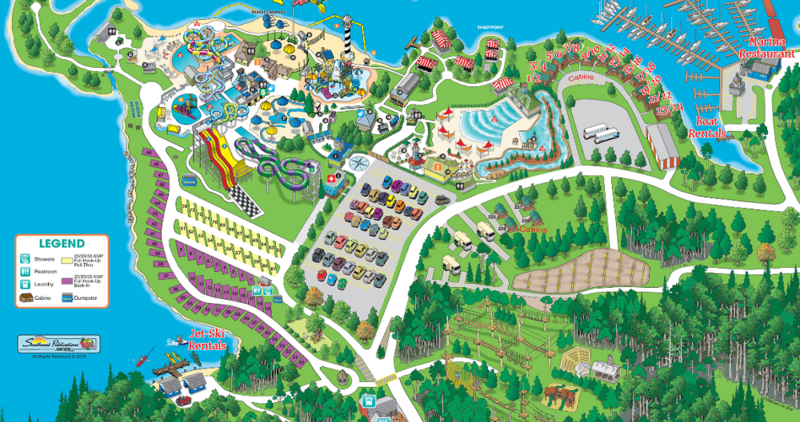 Visit the waterpark as often as you want during your stay or come back any time all season. Must be staying on property to purchase. *Please check the Waterpark calendar for operating dates and hours. 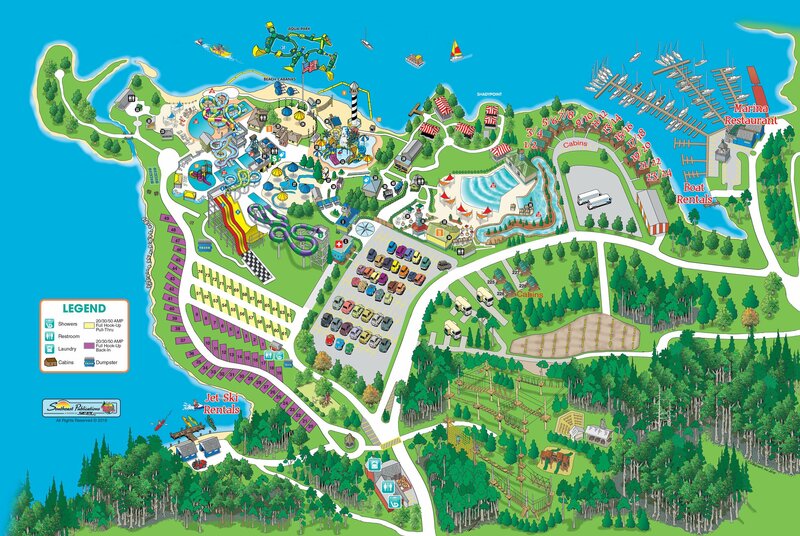 The waterpark will open on May 4, 2019. *Please check the Treetop Adventure Park calendar for operating dates and hours.